While building a new detached ADU is almost always very expensive, there are some rare occasions where homeowners are able to convent a pre-existing structure into a legal permitted ADU at a significantly lower cost than building an ADU from the ground up. 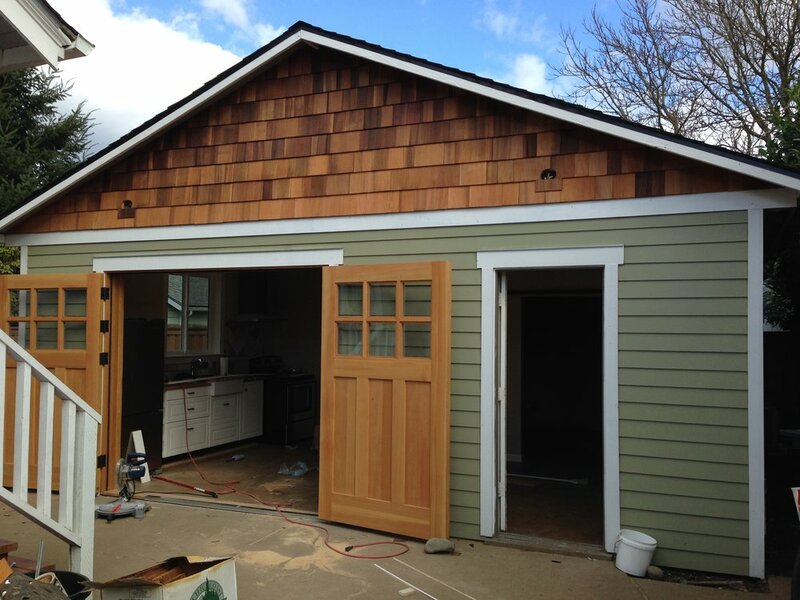 This post about garage conversion costs is going to dive into the factors that can help a homeowner feasibly convert the garage into an ADU for a modest out of pocket cost--in the ballpark of $40K-70K for a 325-600 square foot ADU. We will first examine the prerequisite attributes that a garage must have in order to qualify for an inexpensive conversion. Next, we’ll hear first hand from a knowledgeable homeowner, Dan Gold, who recently converted his 484 square foot garage for $52K. We’ll even share his budget so you can see exactly what his costs were when he converted his garage to an ADU in 2015/2016. 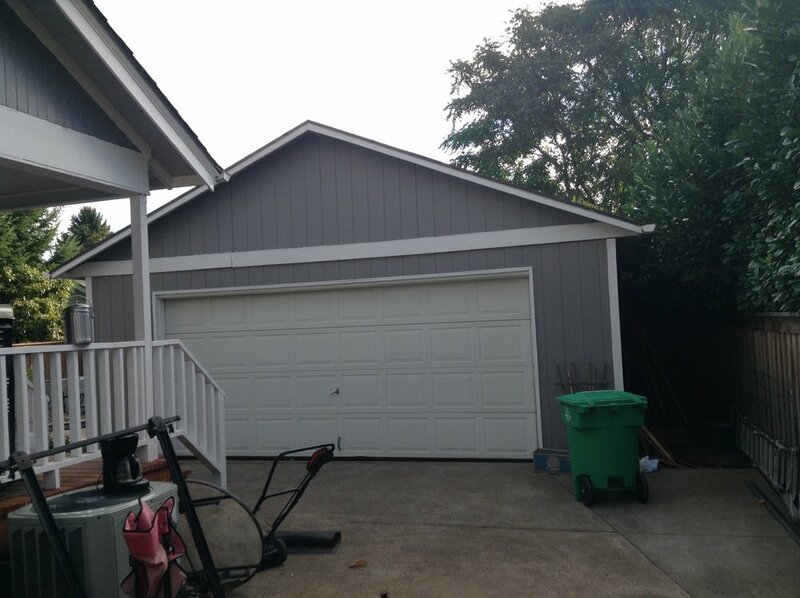 Lastly, I’ll cover some general guidelines about how to convert the garage at a lower cost. Up front, I want to convey that most garage conversions end up costing as much as new construction. Also, many garages cannot be converted to an ADU at all for structural or for zoning reasons. In fact, this represents the vast majority of garage conversion aspirations. want to build an ADU for as little as possible. have a garage that they aren’t using very well. assume that they will be able to convert the garage to an ADU at an extremely low cost. This post is intended to demystify the apparent cost variations that you can find when learning about people’s garage conversion ADU project costs. Some of the variation is simply explained by being lucky or connected to local, decently priced subcontractors. But, I’ve now observed enough projects to identify factors that can explain some of the variation. If the garage structure was not initially permitted, it may be impossible to legally convert it to a habitable, permitted structure. The foundation walls of the garage cannot have any structural issues. The foundation walls are level; the foundation is not sagging in a corner. Ideally, the garage already has foundation walls with footings that extend horizontally beneath the frost line (18”-24” beneath grade in the Portland region). 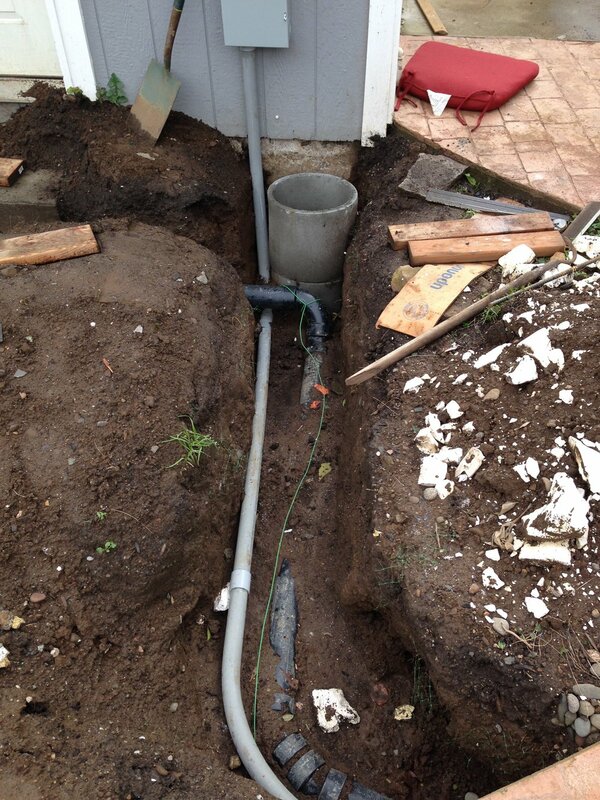 Water is not your friend when it comes to converting something into a permitted habitable structure such as an ADU. It is quite common for garages to smell musty, which is a strong indication that there is a systemic, long-term water intrusion issue. This probably indicates that the roof has failed in the past, or is failing currently. This would mean a new roof would be required, and it means that the existing studs may need to be replaced or sistered. Personally, I would not convert a structure that exhibited water instruction issues in several locations. If the leak was current, I would question how long the leak had been there, and worry about what the long-term damage to the foundation and framing may be. If the leaks were isolated and the roof was now repaired in and excellent shape, the garage may be salvageable for a conversion. 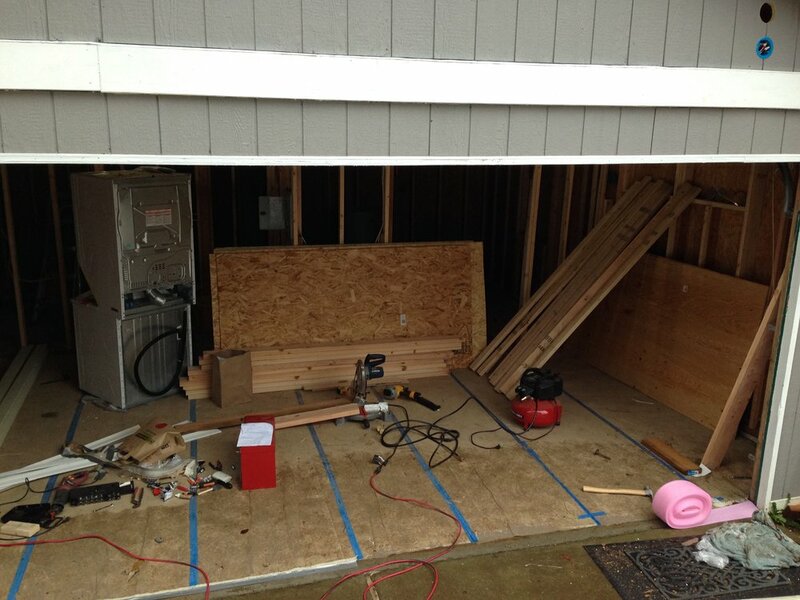 While is it possible to convert an 1-car garage (~10 ft wide by 20 ft long) to an ADU, I am generally against it. It's just too small for most people, unless the homeowner is explicitly keen on making a ‘tiny house’, because this type of single car garage conversion will be end up being about as small as a tiny house on wheels. While there is no specific minimum size limit, I tend to only advise conversion for oversized 1-car garages or 2-car garages. 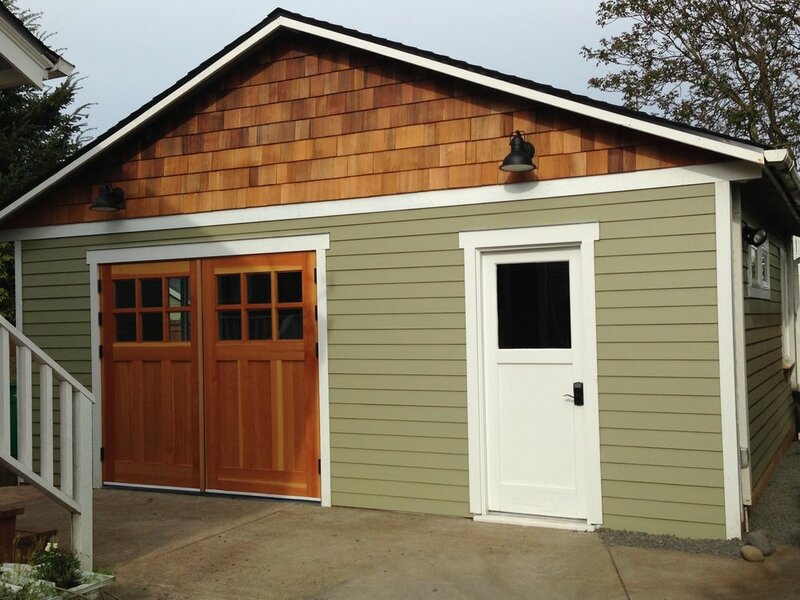 These garages may commonly be as small as 15 ft x 24 ft (350 sq ft) and up to 24 ft by 24 ft (576 sq ft). 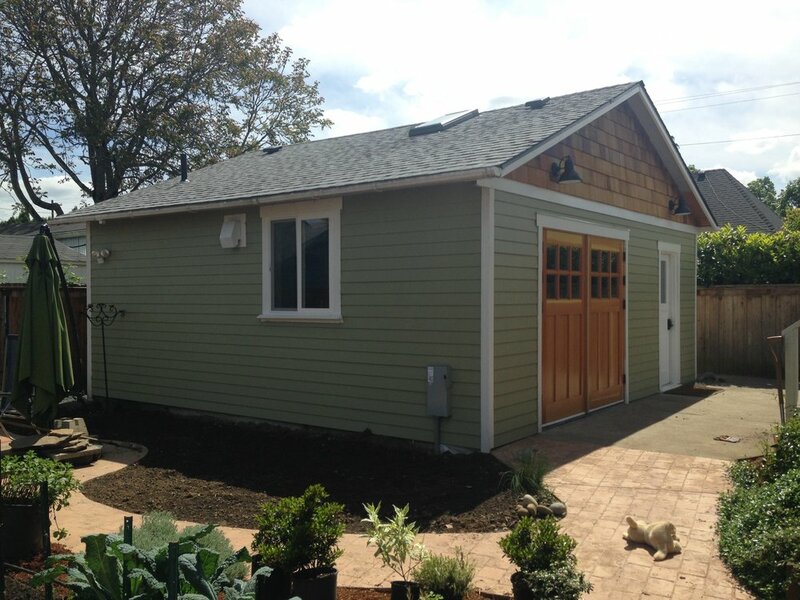 Interview with Dan Gold, a homeowner who recently converted his 1996 garage to an ADU for $52K. A 484 square foot detached new construction in Portland may have a starting cost of $150K when accounting for the design, permitting, construction, and finish work. 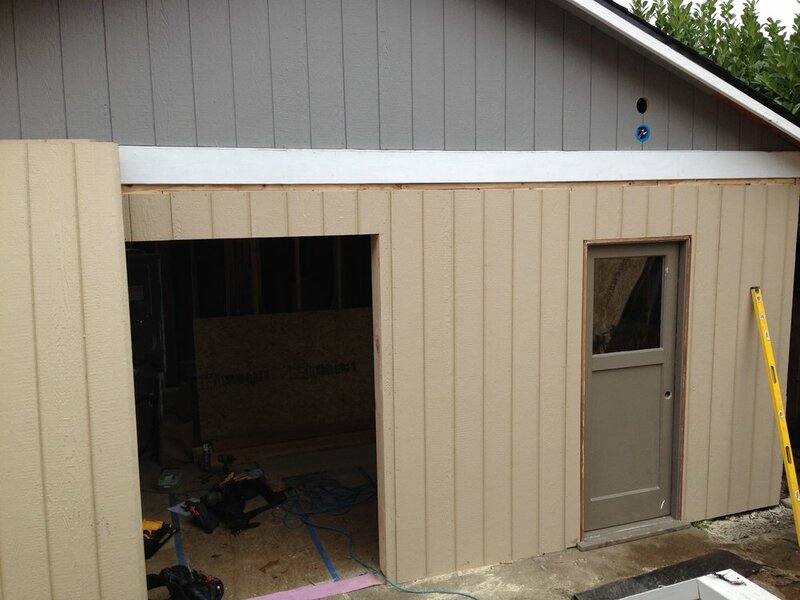 So, it is remarkable when a homeowner can develop any ADU for under $60K. Kol: Dan, explain the big picture of the property a bit to start. Dan: Thanks for inviting me to share my experience. Yes, we bought a 1916 2-story 3 Bed, 2 Bath craftsman with a full basement in R2 zoning in the South Tabor neighborhood in spring of 2014 for around $330,000. It had been foreclosed on by a local credit union and been vacant over the winter. The pipes had frozen and a number of other issues had occurred on the property. We were fortunate, in a sense, that a local credit union held title because they did a better job negotiating repairs and engaging with us during the purchase than a huge national company would have done. Before we took possession, they re-piped the home and ran new wiring. The home had been remodeled in the past and already had double pane windows. We immediately replaced the old, rusty furnace and put in a 95% efficient forced air system. One of my favorite experiences purchasing this home was the major energy efficiency updates we did. It’s fun- you get excited about spending $5000+ on relatively banal insulation, weatherizing, air gap sealing, etc. but it’s probably the best thing we did to the house. When you are used to living in drafty old Portland apartments and houses, and then you have a warm and cozy 100-year old house with low utility bills, you feel pretty good! I think with the upcoming Energy Efficiency Scoring system that will be used in Real Estate transactions in the City of Portland, this topic will become more and more relevant in older homes. My advice to any of your readers is to work with a pro on this to fully tackle the project. I’d highly recommend Jennifer Halloran of Perform Insulation. 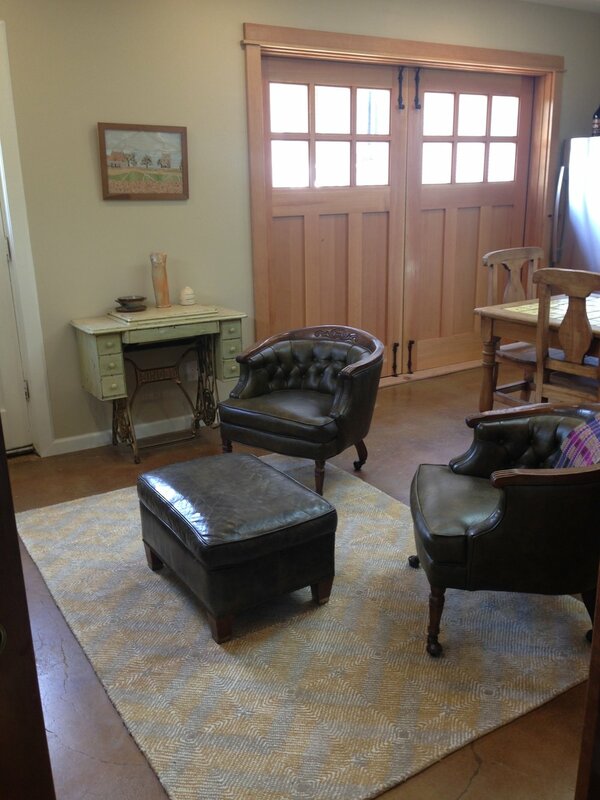 One of the things that attracted us to the property was a detached 2-car garage at the end of the driveway. At the time we vaguely new what ADU’s were and thought that we could convert it someday. It was no more than a passing thought until my father took Kol’s ADU class and got really excited by the idea. We looked more into it, had Kol out for a site visit consult, and figured to go for it. Kol: A lot of homeowners want to do low budget garage to ADU conversions. However, these projects often end up costing as much as new construction. You managed to convert a garage for $52K. 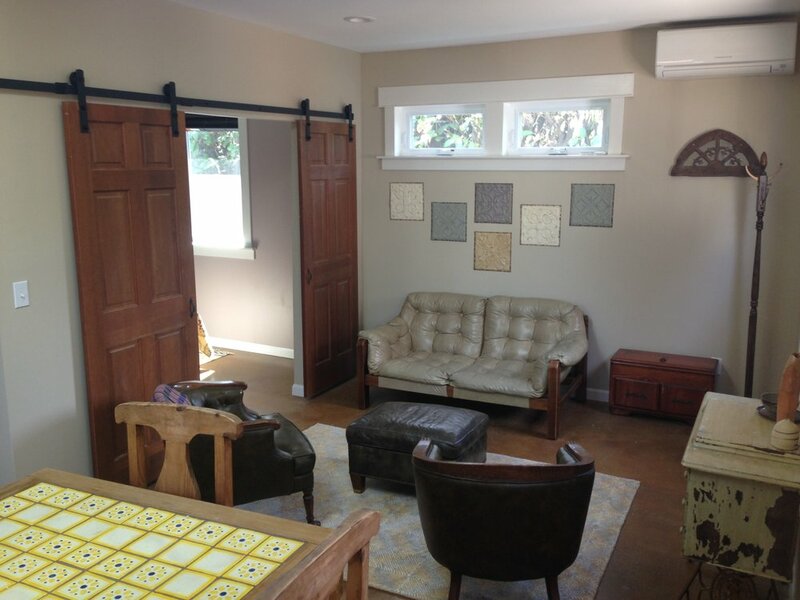 Why do you think this 484 square foot garage conversion project came in at this relatively low price? Explain the variables that allowed you do it at the price. Dan: Well, I work in Real Estate and have a good network of trade contractors. My advice for anyone doing their own conversion is to work with top quality electricians and plumbers. I had zero development experience prior to this, and when it comes to working with the Bureau of Development Services (BDS) to get permits signed off and finalized, you really want to make sure the work is being done correctly since, as a homeowner self-GC’ing to get your permits called in appropriately, it will be confusing enough already. There won’t really be any leeway from the City on holding your hand through the process and it’s really designed for GCs, contractors, tradespeople who are professionals to navigate quickly and efficiently. Had I been working with a bad plumber or electrician it would have been a nightmare. So that’s my #1 advice. To get back to your question, I’m really “hands-on” and almost compulsively concerned with details, budgets, timeframes, work flows, etc. It’s a natural skill set of mine. If that doesn’t sound like you, don’t take it on since your money will be very well spent hiring a manager. I also had a “can do” attitude and thought it would be fun to buy a framing nailer and learn how to frame walls, window and door headers, build out the Ikea kitchen, hang the insulation in the walls, paint, install trim, etc. The things I either didn’t want to do or didn’t want to mess up (Tile Work, Staining the Concrete Floor, Hanging Exterior Siding and Flashing, Hanging and Finishing Drywall) I got bids on from other people and was happy to spend the money. I was also in a unique situation where my Real Estate business is slow in the winter months so I could devote a lot of focus to the project. I was staying home with our infant so between his naps, I’d be out in the Garage knocking out tasks, little by little whittling away at it all. Kol: How much do you figure it saved you to general contract the project yourself? Dan: Well, there are lots of ways to back into that question and having worked in sales, retail, and distribution I know there’s a different price for everything depending where on the food chain you are. I figure if I didn’t lift a finger and had hired an architect and GC to do everything, an ADU to the finish quality of mine would have cost in the neighborhood of $100,000. By that measure, I could say I provided $48,000 in savings. In reality, when I measure and “value” my time, I typically think of myself earning $40-50/hour and if you measure how many hours I spent (150-200 odd hours) than I provided more like $6,000-$10,000 in savings. I would definitely recommend anyone thinking of doing this to calculate what they consider their time worth and whether the trade off makes sense. Perhaps they make $30/hour working and can find someone who frames to work for $20-30/hour. I’d say let them frame (unless you want to learn how.) I also highly valued the educational aspect and getting the experience working with BDS on ‘light development’ work so there was an intangible value-add for me being in Real Estate, that other people might not care about. Kol: You mentioned that you put in 150-200 hours. How many months did this project take for all of the construction, from demolition to finish work? Dan: I tackled the design work in September. We had our build-ready permits approved by BDS in October and got to work. We had our approved occupancy permit in April. So start to finish, including design time, it took us 7-8 months to go from garage to ADU. Kol: In hindsight, are you glad you played that general contractor role or would you do that differently? Dan: I’m absolutely glad I played that role. I’m not sure I’d do a lot differently except perhaps run the design plans by more eyeballs to get more feedback first. My two design mistakes were not coming up with a good place for the water heater, so my only option other than putting it in the ceiling, which I thought would be a bad idea if it ever failed, was putting it in the bedroom closet. Unfortunately, it takes up half the closet. Also, on paper it makes sense to have a window in the bathroom, but when the window is over the sink, it turns out that doesn’t work all that well! People are used to mirrors there and I totally spaced on it until my plumber caught how I’d framed a window header right above the sink, which he thought was odd. That was clearly a design mistake, and the result was no window in the bathroom. However with the extra bright LED lights, niceties color and tile, and a bathroom fan, it turns out the window wasn’t necessary. Kol: What did you to prepare for this type of undertaking? Explain the research and mental preparation steps you took before you actually got a permit. Dan: Well, taking your class was helpful. Going down and meeting with BDS to discuss my site initially was also a must do. It turns out I have a zoning “overlay” on my property which meant that my whole property could have become a triplex, which with the unfinished basement with separate entrance and the garage, could have actually worked out in a cool way. I was already a few steps down the road on the ADU and when the city person told me this, it went in one ear and out the other, but now with the experience I have it could be interesting to explore finishing the basement out one day too. I worked with a designer on permit ready plans which are ‘must-have’ drawings, so was probably my 3rd step after educating myself and visiting the city. 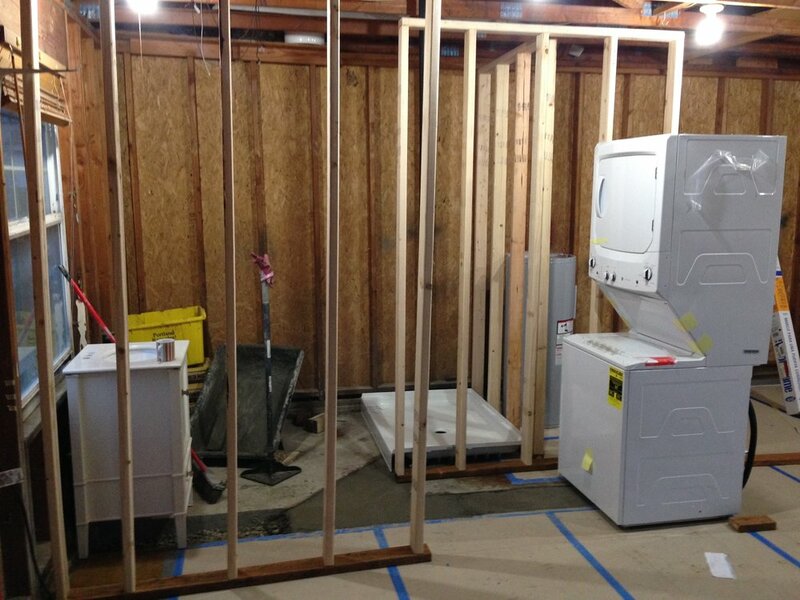 I got rough bids on the bigger spends (electric, plumbing, hvac, drywall) based on my plans, so before ever getting started with construction, I knew most of my budget. Of course things come up, but I was pretty ruthless sticking to my budget and would jump in and take more on myself if things were starting to over run. Kol: And did you use a designer to help with submitting the ADU permit application? Dan: Yes, I did. I was very happy with my designer. He knew how to digitally draw up the plans to a degree the city would approve. He was also affordable (below $1,000) and we didn’t take up a ton of his time. We had an initial meeting, showed him what we were going after, and he did a draft. We submitted our corrections, he made the edits, and BOOM we had plans. The City had our plans from when the Garage was constructed in 1996, so I made copies of the micro-carbon and provided that to my designer. I think that saved him a ton of time since he could more or less import those architectural plans into his program to hit the ground running. 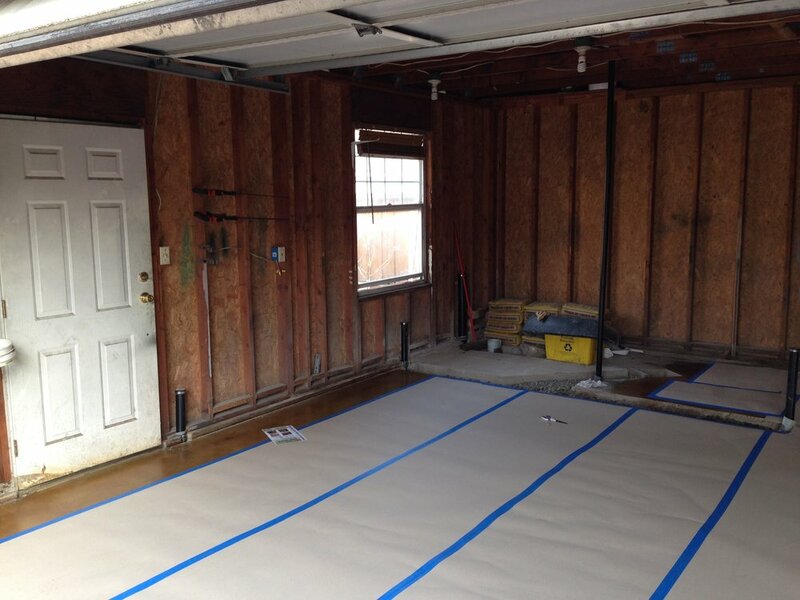 Kol: Do you think an average homeowner could manage this type of garage conversion project, or did you have some construction/building/renovation experience? Dan: I see a lot of houses routinely and am always curious about what people are doing. I also had the time to invest onboarding myself with code, contractor talk, permit processes, etc. I think anyone could do this, but there would be different learning curves for different folks. If it’s not your aptitude, you might also find that you’re frustrating your subs, city inspectors, and not having a very good experience. There is definitely a reason why GC’s exist and good ones provide immense value to their clients. Kol: As the GC, did you actually do much of the labor yourself? Why/why not? How did you know what sequence to do the work in? Did you make any sequencing mistakes along the way that cost you time or money? 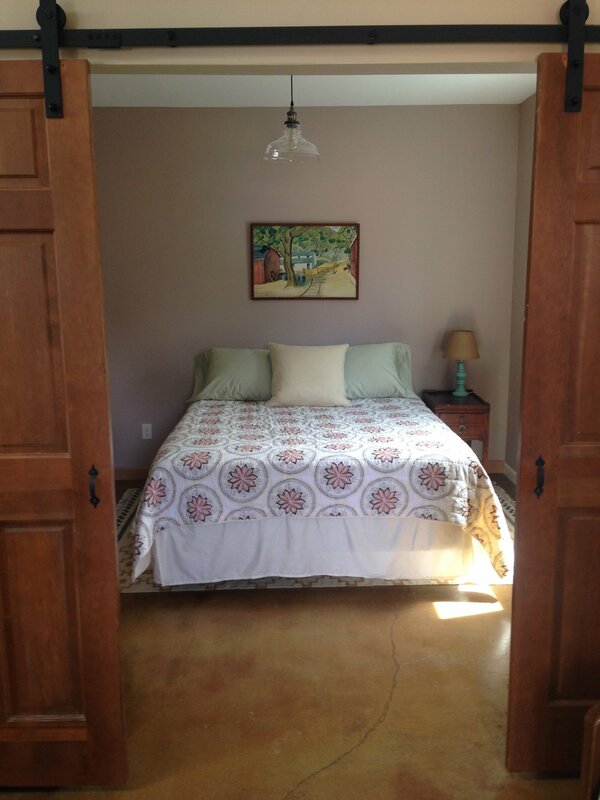 Dan: I did the framing, installed the insulation, hung the doors and windows, built the kitchen, installed all the trim, painting and finish work. I did all the ordering of materials, too, and obviously coordinated everything. I think sequencing worked out as lots of trial-and-error and relying on the experience of my excellent subs (plumber, Electrician, HVAC, drywall). They’d say “Hey, you can’t cover that yet” until such and such permit was called in for. Or “Hey, that ditch you are digging is only 24” deep and needs to be 25” deep” or you won’t get your sewer permit approved. It’s definitely a group effort and finding ways to be a sponge and pick up on how things are supposed to flow on a construction project helps you get to where you are trying to go. Kol: As a realtor, if you were to advise a client who was seeking a property with a garage to convert for a similarly low cost, what specific garage attributes would you advise them to seek out? Dan: I think we absolutely lucked out because our garage was oddly built in 1996, 80 years after the house was constructed. I think this setup is tough to find but if you can find it, more power to you. I’d advise researching what structural improvements need to be in place to convert a garage. It probably comes down to proper footings, structural framing and roofing trusses. A thrifty homeowner could probably do a lot of the demo work on an old garage. And if I learned how to do some basic framing, anyone can! You’d want to find someone to pour your footings and work on your roof, but that could still come in a lot lower than pouring a new slab and constructing from the ground up. To be honest, most GCs like to wipe the site clean and start from the ground up for very good reasons like quality, efficiency and cost, so it really ends up being a case-by-case scenario. I thinks it's fair to say most old garages in Portland, no matter how functional they are as a garage, are not suitable to be converted to living space. I also think any potential home buyer should spend time in line with the City and asking questions about the property BEFORE writing an offer on a house that they have their eye on. I’ve done this for my clients and enjoy doing it with them. I really think the prospective buyer needs to get their feet wet since learning how BDS works and how to navigate the bureaucracy is a necessary skill unto itself for anyone looking to self-GC. That said, I am always looking for new clients to work with in their Real Estate search, especially if they are thinking ADU, so by all means reach out if you’d like to connect to discuss your goals and how I could help. Now that you’ve gotten it in your head that you too can do a garage conversion ADU for a modest budget, I want to provide some additional context to set expectations. The following are some guidelines about what a homeowner must be willing to do in order to come in at that price. If the homeowner wishes to expand the footprint of the structure, or change the exterior envelope substantially such as going upwards, these projects cost much more. If the homeowner wants to add any kind of interior, habitable 2nd story or loft, this involves extensive retrofitting structural work and can be challenging and expensive. Homeowner is ok with sacrificing certain desirable design aspects in order to save money where required. For example, a vaulted ceiling is a wonderful way to make a garage conversion ADU feel larger, but a flat ceiling is generally less expensive than a vaulted ceiling. New window penetrations with new windows can augment an ADU. But, adding windows can sometimes impact the structural integrity of a wall, and force a homeowner to retrofit the foundation or wall structure. Radiant hydronic heating may be desirable, but cadet heaters are cheap. Choices throughout the project like these can add up. 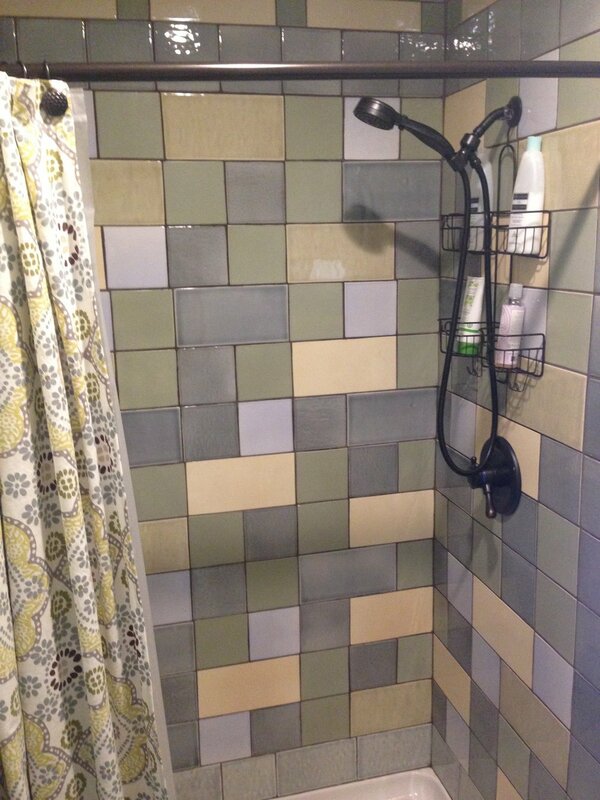 The homeowner must be willing to go with the less than optimal design choices in order to keep costs way down. Homeowner is willing, able, and eager to general contract the project themselves. While a general contractor can manage this type of job, a homeowner must not only cover the cost of labor for the work, but also the cost of project management. For detached new construction, I’d suggest that is highly unadvisable for a homeowner to general contract the waterproof shell. However, when it comes to managing the conversion of a pre-existing garage or basement to an ADU, it is more possible for a homeowner to do this themselves as this does not involve building a structural building shell. Project management will be very challenging, but it is feasible for a homeowner to project manage a garage conversion, and this will generally save the homeowner out-of-pocket costs. Warning: general contracting is a time-consuming and tricky job for any type of housing unit development. 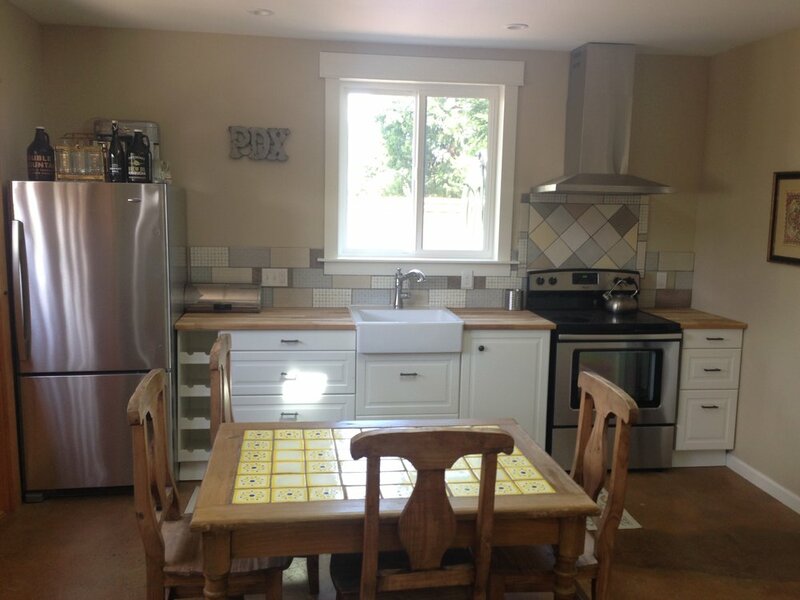 I would only advise general contracting for homeowners who are eager to get this experience, have competent renovation and handyman skills, and have a lot of free time to devote to this project. By following the guidance in this post (and having some good fortune about your specific situation), you too may be able to build yourself an ADU and not break the bank. Older PostBuilding an ADU in L.A.